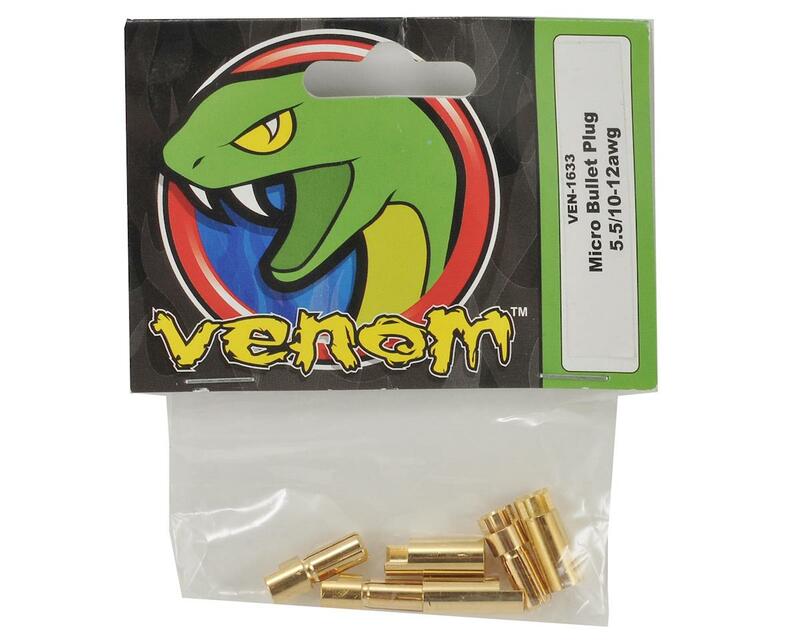 This is a pack of six Venom Power 5mm/10-12awg Micro Bullet Plugs. This pack includes three male, and 3 female 5mm micro bullet plugs that are designed to be used with 10 to 12awg wire and are 18mm long. All of Venom plugs can be used for various applications from surface to air and whatever else you choose. 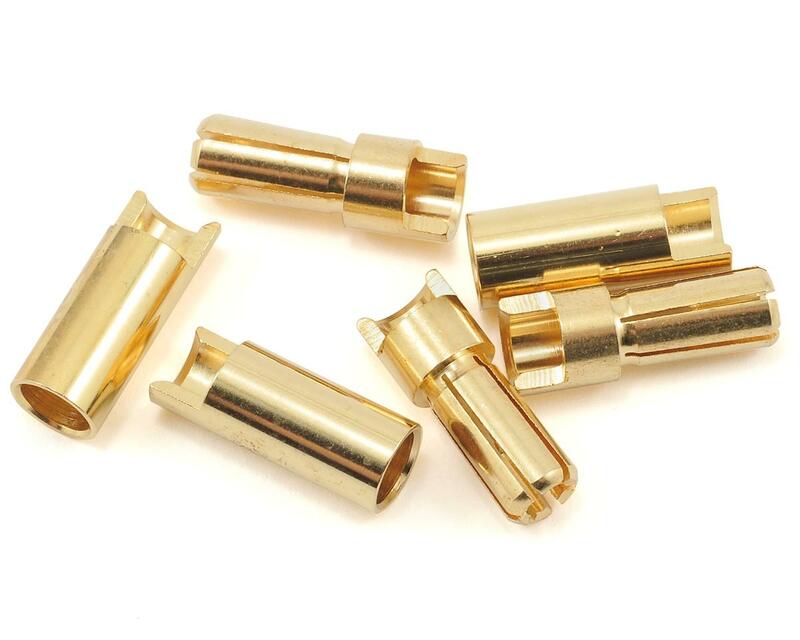 Used with 10-12 gauge wire, this plug size is ideal for most car, plane, boat and helicopter applications. Note: These plugs are designed to fit specific wire gauges, and if they are used with a different wire gauge than specified, you could experience low performance and cause some heat to build up in the circuit.